I have a bit of noticeable rust on my inner rims and I have a slight high speed shimmy, before I spend on new LT tires and a high speed balance should I consider new wheels? What is the story with the "7 LUG WHEELS" is the 98 F250 the only year that they used them? I just noticed a newer model Econoline passanger van with 7 lug wheels, will they match up? Is there any after markets? No, what he probably has is a 98-99 F250 light duty. It looks exactly like an F150 but has firmer suspension and a couple other beefed up bits. Its kinda like the Chevy 1500HD. They should have just named it the F150 Superduty. Also, here is a pic of one. Granted you cant actually see the lugs themselves, but the cap shows 7 places for a lug. Last edited by Lenn; 03-23-2009 at 11:32 AM. I again saw a Ford E250 Van that has 7 lugs, are they compatable? You're actually all right. 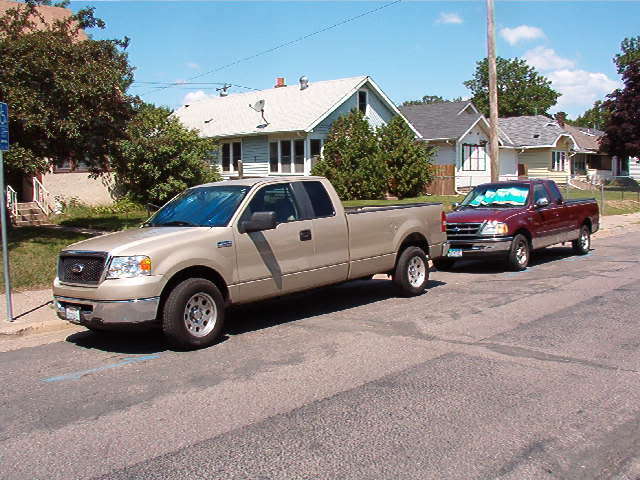 The earlier 7-lug trucks were called F250 Light duty, but later on, (don't know the years) became the F150 7700. The 7700 stood for 7700lbs GVW, but all the badges on the truck said F150. The 7-lug trucks were basically what you got if you ordered an F150 with the snowplow prep package. Last edited by hcbph; 08-11-2009 at 08:28 AM. Getting ready for winter and found a pair of original 7 lug steel rims for 04-08 F150's that I'm putting snow tires on. 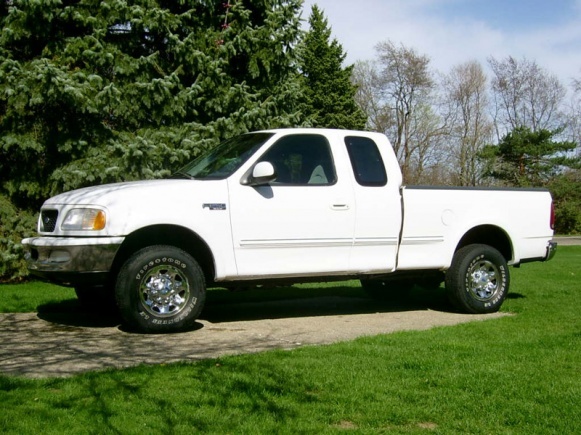 My truck (07 XLT Heavy Half - see photo above) had alloy rims and corresponding lugnuts when I got it so I've not seen what the originals look like. I found a bunch of lugnuts from what appears to be 4x4's of the corresponding years at the salvage yard, they look like they'll fit both the lugs and the rims. Head on them takes a 13/16" socket, bottoms are tapered where the fit against the rim. I know this sounds like a dumb question but are these the correct lugnuts for this combination? Want to make sure I don't run into any problems in the future with this some cold and snowy winter day. Quick Reply: 7 Lug Wheels !